Baltimore Oriole, male, so enjoying the oranges at the feeder next to our deck. During the recent spell of cold and rain, both he and his mate frequently came to the oranges, and also to suet. Such a perk for them in difficult weather, helping them get easy calories while they continue their challenge of breeding and raising young. 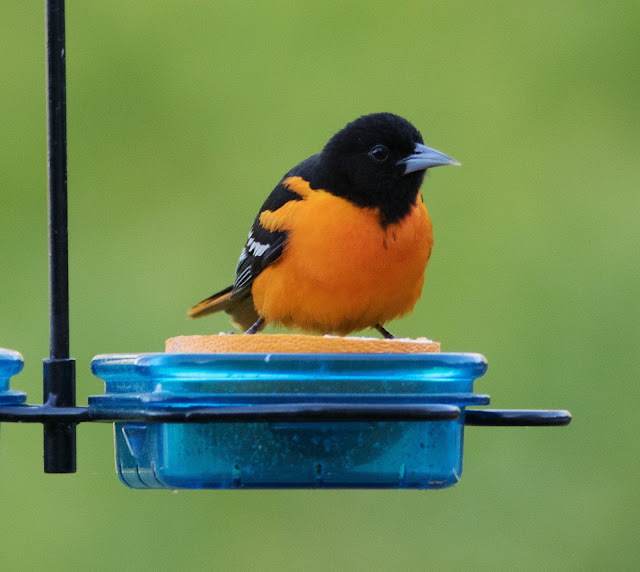 Even though they are eating the fruit now, they also eat insects and will primarily feed their young in the nest caterpillars and insects as oriole babies need good protein for growth and feather development. 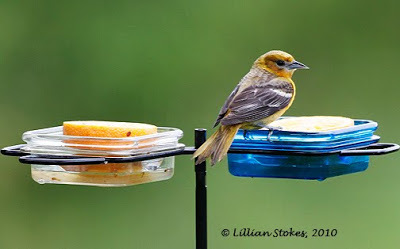 You can also attract orioles with mealworms and oriole nectar and grape jelly feeders. 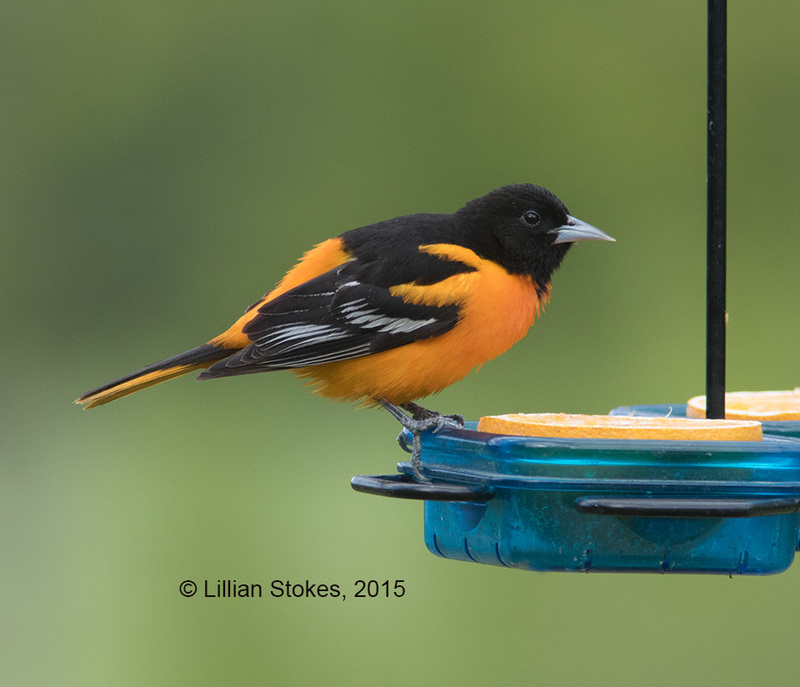 Some orioles will come to feeders all season but others stop using feeders once they have young in the nest and instead focus on eating insects. The best time to attract oriole is to have feeders ready as soon as they come back from migration. 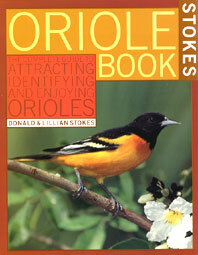 It is such a thrill to see these orioles up close.